Undoubtedly the imperial city of Cusco is a source of pride for all Peruvians, but also the city which is considered in the list of best cities, the Sacred Valley of the Incas was included in the list of Conde Nast Traveler "Gold List 2015". 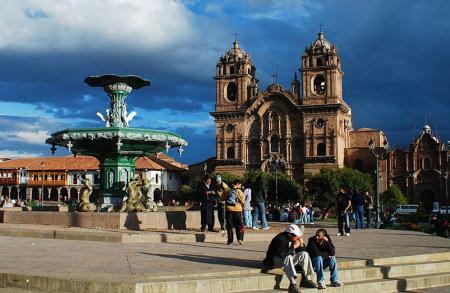 Cusco is in sixth place, surpassed only by Amsterdam, Barcelona, ​​Buenos Aires, Cape Town and Cordoba, while the Sacred Valley is ranked 22nd in the "Destination". The beautiful city of Cusco not remain unnoticed by the voters of Conde Nast Traveler, which is why the prestigious magazine described the town as follows: "La Plaza de Armas, the Temple of Coricancha, Sacsayhuaman and Cusco Cathedral deserve a visit before heading to Machu Picchu. Nor sure to try a ceviche perfectly executed. You'll love it ". Just as the city of Cusco, the Sacred Valley of the Incas was praised by the portal: "The Sacred Valley of the Incas in the Peruvian province of Cuzco, dyed bright green during the spring. This mystical land of valleys, rivers and fertile land -here the best maize of the country is cultivated, it is dotted with indigenous peoples and archaeological monuments of great value. A paradise to visit at least once in life, "said Conde Nast Traveler.